This week was our second anniversary. Sometimes it's hard to believe it's been two years since we started Ipswich Board Gamers. In celebration of the fact that IpBoG is still running the plan was to play two player games all night. We kind of got half way there, although there were a enough two player games to go around most of them were brought by a handful of people so there wouldn't have been anyone to teach the games. Some great two player games did get played though like 7 Wonders: Duel, Android: Netrunner, Lost Cities, Star Realms and Tash Kalar. 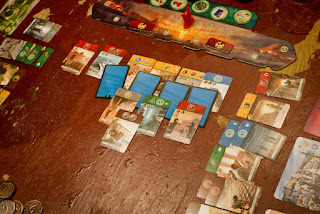 Games that support more than two players also got played as two player like Carcassonne, Entropy, Imperial Settlers. Although you can play Entropy and Imperial Settlers with more than two players I wouldn't recommend it. 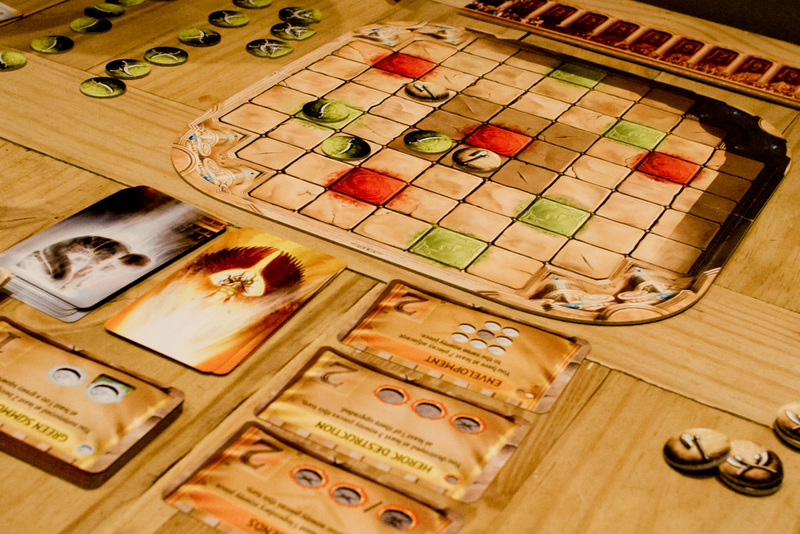 To me they seem like two player games they tacked multi-player rules onto. 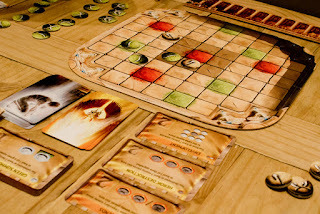 There were some other great two player games that never got to be played like Go, Jambo, Innovation, The Duke, and a bunch of games from the GIPF series. I started off the night with Lost Cities, the Reiner Knizia two player classic. Dan beat me but 100 points to something embarrassing. I redeemed myself in Entropy beating Dan in that game. Then we played 7 Wonders: Duel. Dan beat me by getting six different types of research which was again pretty embarrassing. Afterwards we played Imperial Settlers, Dan got off to a good start and it looked like he was going to win but I crept ahead in the final round and took the lead for the win. I finished off the night with another game of Lost Cities, this time against Mike. I managed to beat him by ending the game before he could play his best cards. If he'd have had a few more turns he defiantly would have won the game. A bunch of non-two player games got played as well like Boss Monster, Lords of Waterdeep, Rattus, Red7, Rhino Hero and The Big Book of Madness. Back to normal next week for the usual multi-player stuff.